You'll explore the less-touristy side of things at Dolphin's Nose and Dolmen Circle. Get in touch with nature at Pine Forest and Berijam Lake. 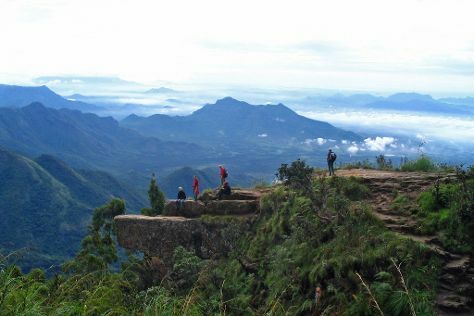 There's much more to do: explore the activities along Kodaikanal Lake, pause for some serene contemplation at Lutheran Church, take in the spiritual surroundings of Kurinji Andavar Temple, and take in the pleasant sights at Coakers Walk. To see other places to visit, reviews, photos, and tourist information, you can read our Kodaikanal tour planning site . In April in Kodaikanal, expect temperatures between 41°C during the day and 30°C at night. Finish your sightseeing early on the 30th (Tue) to allow enough time to travel back home.